Intelli IM is a subscription based cloud service for Microsoft Skype for Business, Microsoft Lync, Communicator Web Access (CWA), Google Talk and Google Talk Business. Intelli IM App works with Intelli IM cloud service towards the enterprises and Google Talk cloud service. * Intelli IM app and the Lite Intelli IM Service are Free. Lite Inelli IM Service provides 10 minutes of Pro Service every day. * The unlimited Pro Intelli IM Service (full functionality) requires subscription to Intelli IM service. 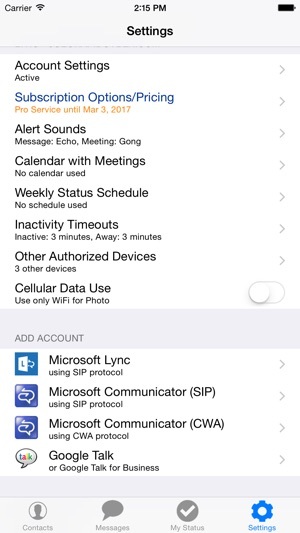 * The subscription to Pro Intelli IM service for the first month is included with the app for Lync, OCS or Google Talk. Select the desired Pro Intelli IM service and purchase Pro Intelli IM service for Google Talk, Google Talk Business and OCS individually. For all the users of Skype for Business 2015, Microsoft Lync, Communicator 2007, and Googe Talk; Intelli IM is the application for both iPad and iPhone to make your communication and collaboration more intelligent. Intelli IM uses Communicator Web Access (CWA) protocol for CWA and XMPP protocol for Google Talk to increase the productivity and puts you in control of your communication anywhere, anytime. Application supports retina display on the new iPad and iPhone. * State of the art Push Notification functionality to make sure that you don’t miss any important messages even if your application is closed. 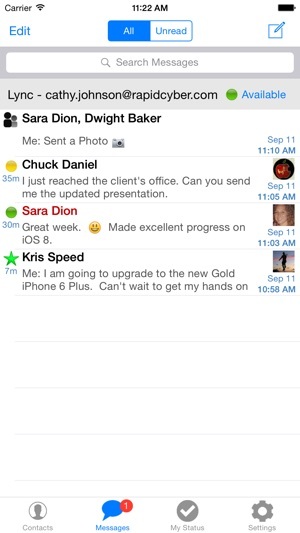 * Send, Receive and Manage Chat Invite to your colleagues/buddies. * Full Synchronization. 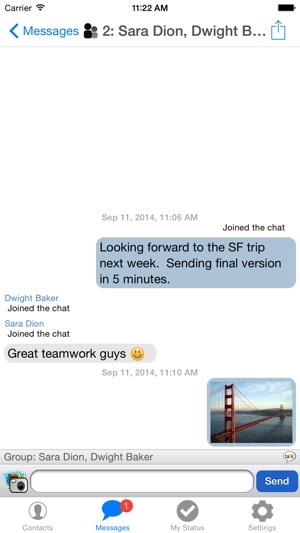 As an example, start the conversation on iPad and pick it up on iPhone. * The application is always “ON” and does not time-out. You stay in touch with your contacts all the time. * Support to send Photos and edit photos. 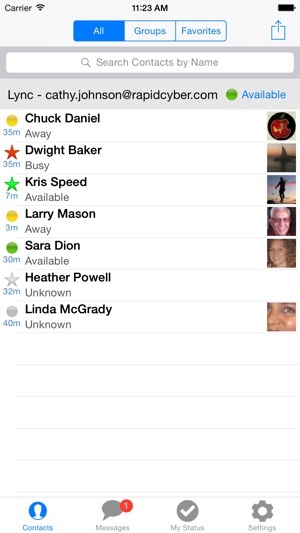 The user on the other side can be using any Communicator Client or Google Talk client including Intelli IM. For regular Microsoft clients and Google Talk clients, the Photo is sent as a web link, and the user can download it using a browser. 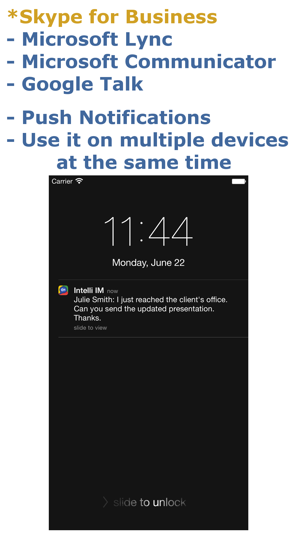 * Universal Client for iPhone and iPad. * One Client for Google Talk, Google Talk Business and Microsoft OCS. No need to move between the clients. 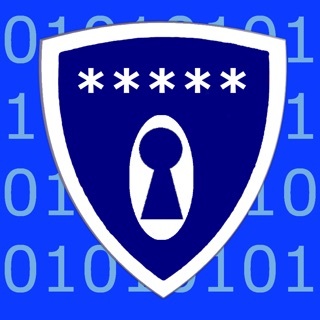 * Secure data exchange with the server using SSL/https. Also, Google OAuth 2.0 support to enhance privacy and security. * Share location information while messaging. * Intelligent Alert Functionality: alerts are delivered based upon your status. * Intelligent Status: status updated using the meetings information in your calendar or based upon your programmable status/note. * Contacts, Favorites and Groups views to see the contacts, favorites and groups. * See the detailed information about the contacts including the availability, note, office location, time zone and local time for the user. * Swipe Left and Right in Chat Window to get to older or new Chats. Please contact your IT department if you have questions regarding compatibility of this application with your IT policies. 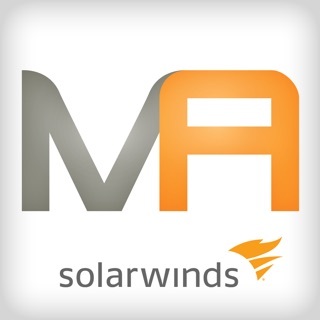 Also, review the approach, and learn more about the application and the cloud service. Bug Fix for account type. If you could magically allow this app a means to join a conference and see a shared screen etc. I’d be proselytizing the 2,000 other employees I work with to pay whatever so we could join a Lync conference. I find Lync in any form clunky and fairly useless but it's what my agency uses to populate our presence to others. This software is the only one I've found that works to connect me to our Lync 2010 server. I don't appreciate the cost of the subscription but it allows me to update my status and IM with other employees. I’ve been using intelliIM app for lync since 3 years. I just purchased 2 year extension license and now it stopped working. When contacted their customer support they give me many reasons one of which they say my company lync version is latest and they don’t support it now anymore. I sent multiple emails asking if they will ever update their IOS app so it supports latest lync or refund my money back. They don’t respond anymore. Don’t waste your money. Very bad customer service. Look at the last update on this app, been over a year. © Rapid Cyber Solutions, Inc.